In 2013, Justin Timberlake made his return to music with The 20/20 Experience after years of focusing on his acting career, and even though he has another new album on the way, the crossover pop star has now taken on a new acting role. He'll be playing Casablanca Records boss Neil Bogart in an upcoming biopic called Spinning Gold. In addition to playing the starring role and co-developing the script, Timberlake will co-produce the film, along with Mark Damon (whose Foresight Unlimited is financing the flick), Laurence Mark, Timothy Scott Bogart and Gary A. Randall. According to a press release, "Spinning Gold tells the rags-to-riches story of a poor kid from Brooklyn who went on to become the man who defined the pop music culture of his time. Neil Bogart died prematurely in 1982 at age 39." Casablanca was founded in the early '70s and released albums from acts like Kiss, Donna Summer, the Village People and Cher. In a statement, Damon said that the film will "feature some of the music industry's luminary artists lining up to join Justin in telling Neil's incredible life story." There's currently no word as to which other musicians might be involved with the project, and casting is still underway. The soundtrack, due out through RCA Records, will include classic songs from the '60s and '70s as reimagined by current artists. 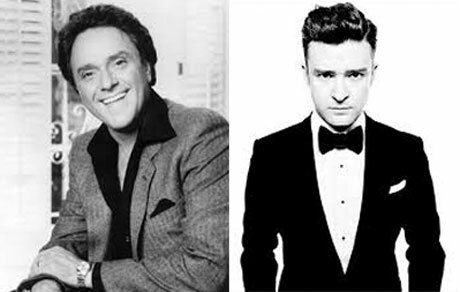 Timberlake said in a statement, "Neil Bogart was a fascinating individual whose vision, drive and passion brought us some of the most influential music of our time. I am proud to be part of this project to bring this incredible life story to the screen." Foresight will seek international buyers at this month's Cannes Film Market. Shooting is slated to begin early next year.